What is Cache and which WordPress Cache Plugin is Best? Improve your WordPress website’s user experience and page speed by using a Caching plugin. There are free options and paid options. Be sure to check with your hosting company first for their suggestions as well. You might experience conflicts too with themes or other plugins. Be sure using a caching plugin is a necessity before installing. So if your ever wondering- you know you hear people talk about it and you wonder, “What does it even do?” Let me just quickly explain what caching is. Basically, it’s short-term memory on your computer. So, if somebody comes to your website and (let’s say) you’ve got a lot of images. Basically, what a caching plug-in will do for your WordPress website is allow some of those files to stay on the memory of the persons computer. So that as they visit your website (or as those same files might be rendering through different pages or as they come back to visit your website) those items will load much more quickly because they’re saved on to temporary memory on the persons computer. That’s called caching. That’s one way that you can help speed up your website’s performance. Allowing your website pages to load more quickly. However, you can definitely run into a lot of headaches trying to figure out exactly what it is, and how to do it and which plug-ins to use. So we had a question sent in on our YouTube channel here from Jason. I wanted to (just briefly) walk you through two plug-ins that he asked me to compare, and a little bit about my advice for using a caching plug-in. Before I do that, I definitely want to give a shout out to WP Engine who’s phenomenal at WordPress hosting-and I’ll talk a little bit more about them in a minute. WP Elevation-if you’re an entrepreneur using WordPress please checkout their blog. They’ve got incredible resources for you that you don’t want to be missing out on- all for free. Get over there. Start reading. Troy has some really great paid options too. So be sure to check those out. 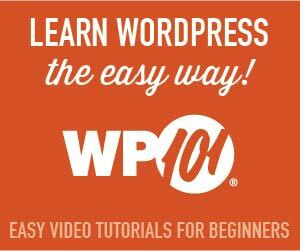 WP 101– if you love WordPress video tutorials you’ve got to check them out. 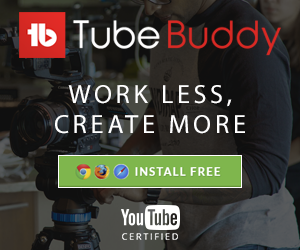 They’ve got some incredible high quality tutorials that will help you make your website incredibly amazing. All right, that being said, Jason asked me to compare this plug-in; W3 Total Cache vs. WP Super Cache. WordPress you will be able to add these to your WordPress install. However, (fine print right here) connect with your hosting company first. That’s first step-connect with your hosting company. If you’re hosting with a company (a premium company) like WP Engine (which is who we host with,) they already have a caching system set in place to allow your website to load much more quickly. So you don’t even have to tinker with this, mess around with it, go through the headache of trying to figure out how to configure any of �these� plug-ins. They’re going to do it for you-already have that set in place. But, if you’re hosting company says” no we don’t have any sort of a caching system in place, they might actually tell you “we suggest you use W3 Total Cache” or “we suggest you use Super Cache,” because these effect directly with your server. So, that being said you�d want to kind of just read down through here. You’re going to want to compare; WP Total Cache has 4.3 stars as of today out of 5, WP Super Cache has 4.2 (so, very comparable.) They both have over a million installs (which is incredible.) So, these two are the highest in the industry. So, really I can’t tell you which one’s better/ which one’s worse. They both have kind of their own capabilities. I would again, though suggest you connect with your hosting company. Ask them which one they prefer you use. Maybe plug one in and see how your website performs. PageSpeed Insights– it’s a free developers tool on Google for you to use. All you do is drop in the URL of your website. (So, WebTegrity.com.) Do a quick search to see what your grading would be. It’s going to give you a quick analysis of the load time of your website. It gives you a quick analysis of the user experience (as well as the desktop experience,) mobile vs. desktop, and down here at the bottom they’re going to give user experience. So, really important that you’re getting green here that you’re getting really good reviews-a good grade. If you get a bad grade, unfortunately, if you get something that’s red here (and you want to open this up) it’ll give you ideas of how to improve your load time and basically optimize your whole website. Outstanding free resource for you to be using today! I’ll put the link to this in the description box below. Just copy and paste your domain name inside there and get a quick report on what your website’s doing and how you can improve it. I hope this helps you. If you have questions about this process please put them in the description box below because every week we’re doing a video just like this to help you improve your WordPress website. Look forward to seeing you next week! Bye y’all!